Tata group announced Tata Crucible Campus Quiz 2016 which is open to all accredited Business schools and Engineering colleges. With more than 3900+ Teams from 36 Cities. The Grand Prize is worth 5 Lakhs. 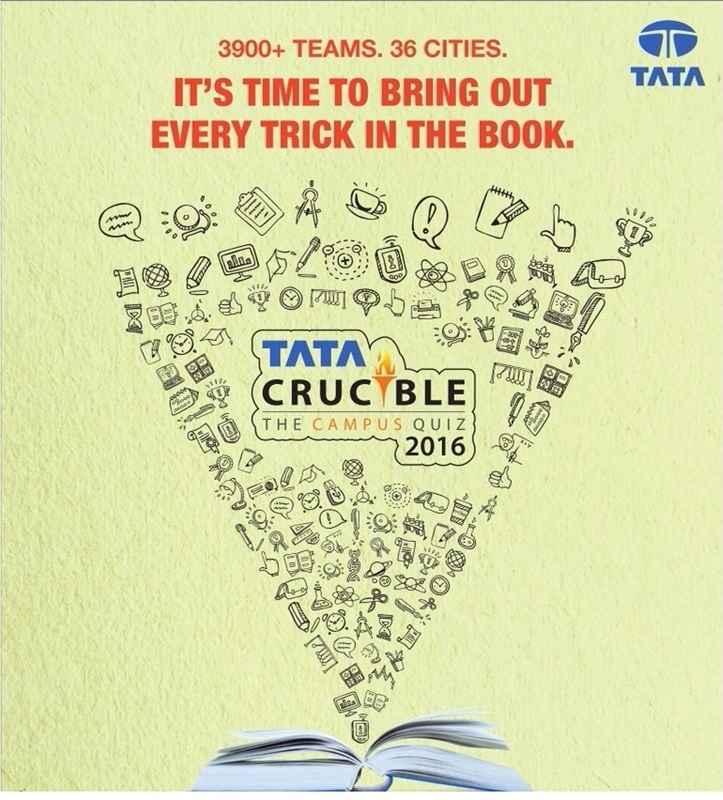 The Tata Crucible Campus Quiz Entry will be Free. So why are you waiting for PREPARE FOR A BATTLE OF WITS AT INDIA S BIGGEST CAMPUS QUIZ.